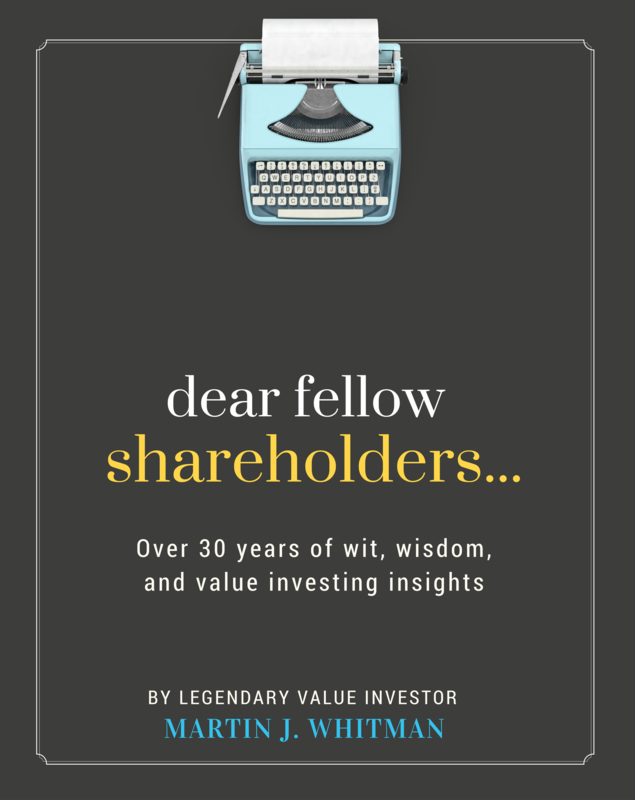 Book Description: For over 30 years, Legendary Value Investor, Martin J. Whitman, has written comprehensive shareholder letters that provided readers with thorough lessons in his investment philosophy, security analysis and value investing. The collection of excerpts from letters in this book comprise the “best of” Marty’s writings organized thematically to give readers an opportunity to dive into specific topics of interest. 33. So What Are Earnings, Anyway? The book’s first section, “The Roots”, includes Martin J. Whitman’s proxy solicitation to the shareholders of the Equity Strategies Fund (EQSF) written in 1984. Marty and his colleagues at M.J. Whitman effected a takeover of EQSF, a closed-end registered investment company. We included the letter of solicitation for the proxy vote and a section from the proxy statement which outlined the investment philosophy that would be the foundation for Marty’s future investments. In 1990, EQSF was closed to new investors and a successor fund, the Third Avenue Value Fund, was launched. Marty was the portfolio manager for the Third Avenue Value Fund for the next 22 years and wrote some of the industry’s most lauded shareholder letters. He continued to write the Chairman’s Letter after his retirement as Portfolio Manager of the Fund in 2012. Since that time, Marty has managed his family’s money in the Whitman High Conviction Fund, a private investment Fund that adheres to the strict value discipline outlined in this book. MARTIN J. WHITMAN is the Founder of Third Avenue Management LLC. He was portfolio manager of the Third Avenue Value Fund for over twenty years and has written extensively on value investing and security analysis. Mr. Whitman taught courses in value investing for over thirty years at both Syracuse University and Yale University. Syracuse University’s Whitman School of Management is named in his honor. Dear Fellow Shareholders... Copyright © 2016 by Martin J. Whitman. All Rights Reserved.